Another day, another J.Crew Factory markdown. This time, get an extra 50% off basically everything full-price (the only exclusions are men’s suiting, cashmere and leather items), an extra 50% off clearance styles when you use the code WOOHOO. 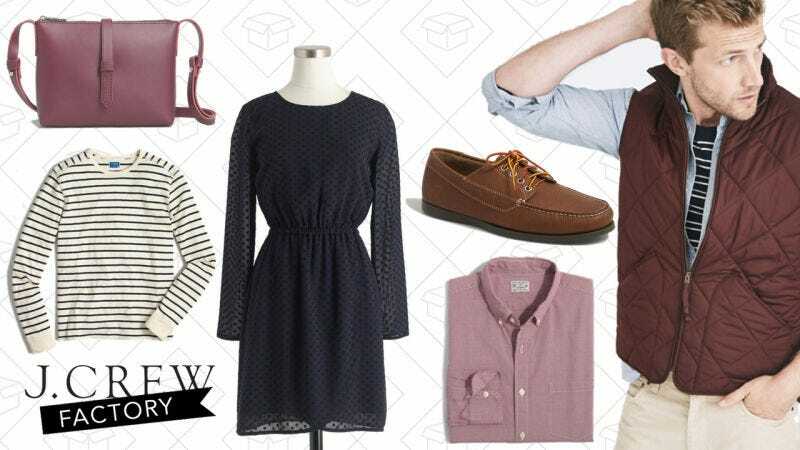 Grab a new button-down for $35 or some new chinos for $30.